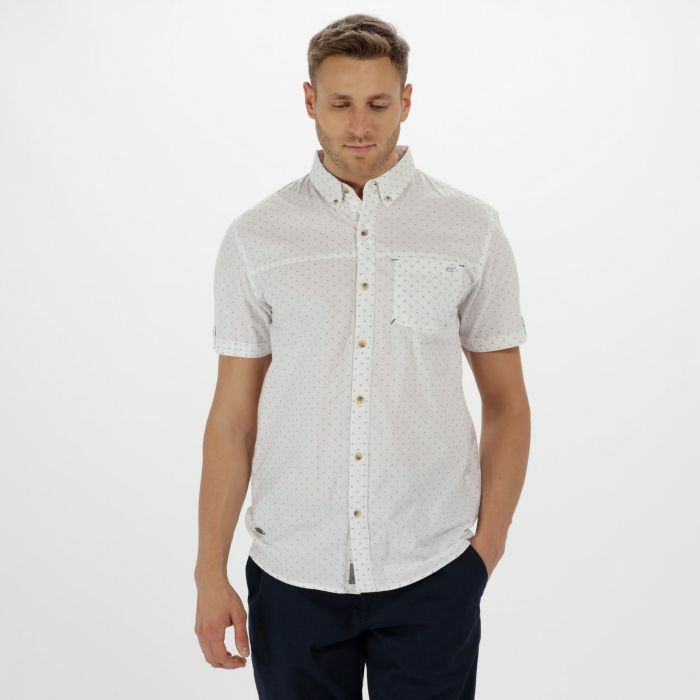 Short-sleeved button-down shirt with subtle Regatta design details. Crafted from naturally breathable COOLWEAVE Cotton using a herringbone weave pattern for a lighter feel. With button-up cuffs, a curved hem and colour pop stitch details around the chest pocket. With our signature embroidered R on the chest.